During the 1930s, the young son of a well-known Indonesian preacher travelled to India to further his studies. Later on, he worked as a doctor in Bangkok, married a girl, and lived happily while raising their children. One of the children pioneered the tremendous milestone for the halal industry of Thailand, moving Thailand one step closer towards achieving the dream of becoming ‘The Kitchen of The World’. That preacher, who was also awarded the National Hero of Indonesia and widely known as The Enlightener “Sang Pencerah” — from a 6.8-IMDb-ranked biography film about him — was KH (Kiyai Haji) Ahmad Dahlan. 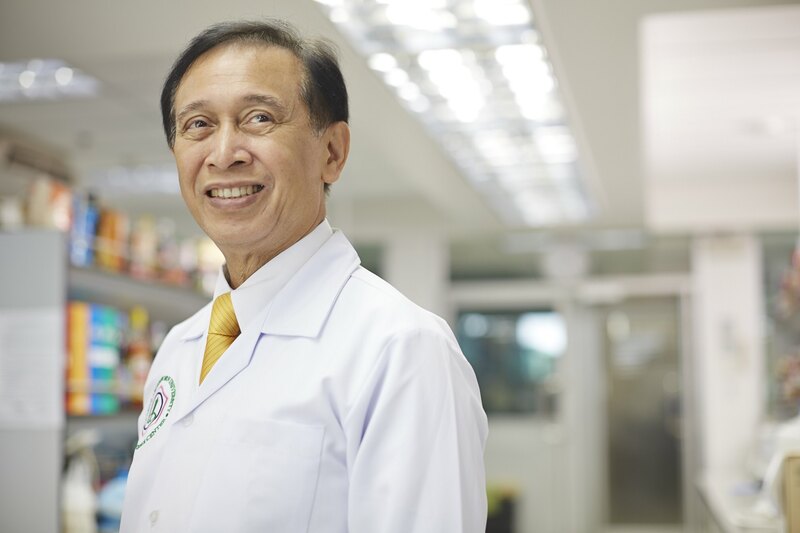 And his grandson, the inspirational man, is Professor Dr Winai Dahlan, now the Founder Director of the Halal Science Center in Chulalongkorn University, Bangkok. This project, named after the practice of precision-based inspections, is going to make use of digital technology for cost-efficiency and in streamlining the process of becoming Halal-certified. It sounds quite technical, yet so impressive. “In the past when we talked about food, it was for four reasons: to fill our stomachs, to create happiness, to gain needed nutrients, and to prevent diseases,” Dr Winai told CityLife. “Today, we are adding a fifth element: the soul. The world trend is heading towards conscientious eating, and this is where Halal fits in very nicely,” his words putting things into perspective. Factually speaking, the 2016’s Halal export numbers from Thailand to Muslim countries amounted to 200 billion baht, and a growth of 10 to 15 percent is expected by the year 2020. To this day, 40,000 businesses with a total of 160,000 products with Halal certification are reported in Thailand. The number is growing rapidly. “We must realise that Halal will not just benefit Muslims alone, but it is for every single one of us in the world too,” Dr Winai added in pride of his religion. Who would not be impressed by more than 2000 scientific and nutritional articles written by him? Apart from being listed in “The World’s 500 Most Influential Muslims” for three consecutive years including this year, Dr Winai is also the only Thai Muslim scientist ranked in “The World’s 16 Most Influential Muslim Scientists” in Science and Technology. Locally, he was also awarded The King’s Service Medal, The Dusdi Mala, in 2013 for his contribution in the said field. Back then, his late grandfather fought for the cause of Islam, particularly on the aspect of faith and Tauhid; now the grandson, Dr Winai, carries the same spirit and he fights for the essentials of Muslim and the world: the halal consumption. For Dr Winai, the halal matter is not about Thailand alone. It is about cooperating especially with other ASEAN countries: it is a matter of concern for all Muslims in this region. Religious wise, being a minority in the country did not stop him from bringing this matter to the attention of the national authorities. Instead of confronting and worsening the phobia towards Islam at that time, Dr Winai peacefully and strategically negotiated. He went for economical, as well as scientific approaches and arguments as his effort of Da’wah. This is appropriately so because the Halal market is booming and Thailand as the Kitchen of the World should be able to address the interest of all people including the Muslim consumers. He aims to achieve this by uncovering scientific facts that align Halal with high-quality end-products. The slogan ‘a sign you can trust’ together with their logo could be seen on a massive billboard on the road from Jeddah to Mecca. Imagine the impact it could offer on the public portrayal of Islam worldwide. Perhaps this is a take-home message for Muslim preachers and figures: sharing the comprehensive teachings of Islam is not just about theoretical talk sharing formal religious knowledge. Da’wah is broader than that and full of art and subtle angles: now is the time for Muslims to be a little more creative and innovative.